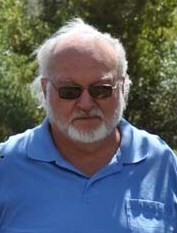 Clayton M. Nolte worked for forty years in Electronic Warfare Research and Development, in the military and as a consultant. Clayton was assigned to develop new technologies that emulate nature and to reengineer existing electronic devices for easy operation in the modern era. During Clayton?s research, natures own structured water became a unique recurring phenomenon of appearing where no water should. With an innate desire to emulate this for more in-depth studies in remote locations and labs, Clayton delved into the inner world of water. In those times and since, Clayton has discovered innovative technologies, fabricated several devices and proved the science. Structured Water Unit, LLC is an official distributor for Clayton Nolte's Natural Action Water Structured Water Unit.